On the last day of the school year, 14-year-old Ichika Tachibana comes across an old, busted mirror in an unused campus building. 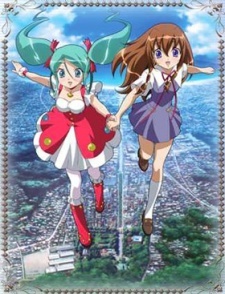 When Manatsu, a mysterious girl from inside the mirror, steps out and offers her friendship for the summer, she also offers Ichika magical powers. Now, Manatsu must help Ichika unlock the powers of the 12 Djinn in order to complete her magic training... but perhaps this is something that will prove too difficult a task. Some offers may appear to be too good to be true and this one just may turn out to do more harm than good.